Q Farms bees have access to our rolling fields, edges, and woods. Their raw, unfiltered honey is both delicious and healthful, containing traces of pollen, propolis, and live enzymes. It is rich in antioxidants and naturally occurring vitamins and minerals in the wildflowers from which they harvest. Raw honey can also improve allergies to local pollen sources. Raw honey is harvested twice a year from our own hives situated on our fruit orchards and near our nut tree stands. 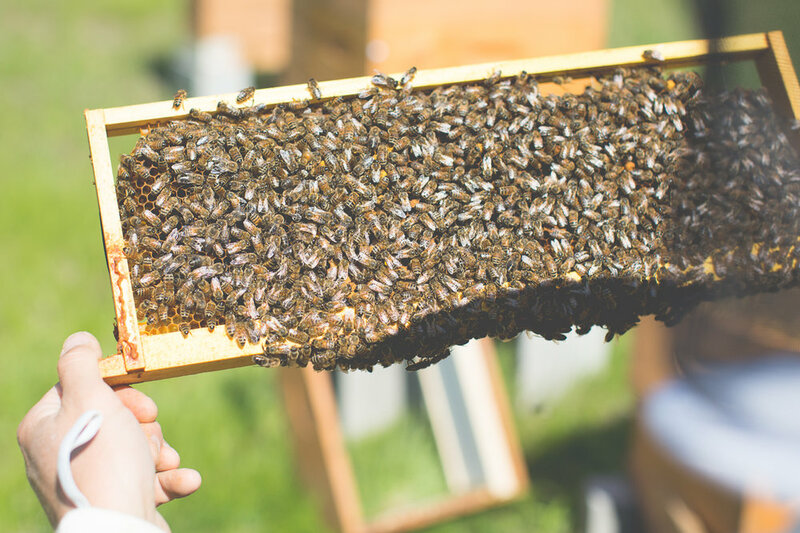 We sell raw honey both in glass jars and as an essential ingredient in our "protein bars" made from Q Farms seeds and grains available later in the year. We sell our honey in jars and as an ingredient in our forthcoming fruit & nut bar. Our raw honey is for sale in our on-farm store.